Bad spirits have been accused of entering the General Secretary of the New Patriotic Party (NPP), Mr Kwadwo Owusu Afriyie for him to have committed contempt of the Supreme Court. According to former Attorney General and Minister of Justice, Nii Ayikoi Otoo, some power for which no one had control over, entered him (Owusu Afriyie), because as a lawyer, he ought to have known the law. Nii Otoo, who was defending Owusu Afriyie and Hopeson Adorye, also an NPP member on charges of contempt at the Supreme Court Wednesday afternoon pleaded with the court to tender justice with mercy. 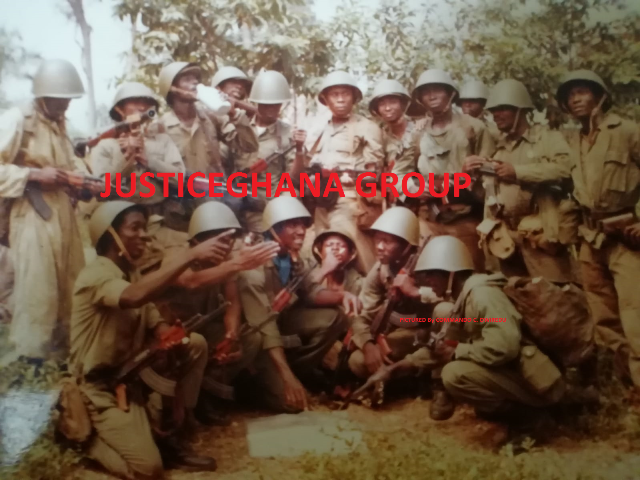 He said Owusu Afriyie popularly known as Sir John ought to have known the law but said other considerations might have made him to slip and pleaded with the court to temper justice with mercy and warn him to go and sin no more. The two NPP men were accused of scandalising the court and lowering its authority as well as credibility in the eyes of the general public, “and exciting hatred and ill-will towards the 1st and 2nd respondents” in the election petition. Sir John, a lawyer of 32 years standing experience, was said to have accused the Bench of bias while Mr Adorye was said to have stated that the heads of members of the National Demoratic Congress (NDC) will be chopped if President Mahama was declared winner of the ongoing Presidential election petition. Nii Ayikoi Otoo defending them argued that considering the trial of the election petition was over and everybody was poised for the judgment, a custodial sentence for the two may not have augured well in view of the expectation that everybody was talking about peace. “My lords we are not in this court to justify anything contained in the summons. We have no doubt that the court has powers to deal with contempt and that even if it was not contained in the constitution, it is an inherent power given to the court”. He said they were also aware of the provision in article 19 (12) which makes the exercise of that power almost arbitrary and that the practice in such matters was to render an unqualified apology. He said the practice has been to show remorse and apologise for what has been said and that was exactly what they were in court to do. Nii Otoo who said Owusu Afriyie was his class mate said the respondent has already issued a 33-point guideline to all NPP communicators on avoiding contempt. These, he said included not using insulting, threatening, abusive or rude words in describing the judges and not using words that are likely to be construed as provoking the judges, and not passing personal remarks about judges because they are only doing their job as representing the state in the dispensation of justice. He also added they were not to issue words or phrases to attack judges personally and not to describe a judge in a manner that will subject him or her to ridicule and defamatory words in describing a judge. He said after Sir John was notified that the court was waiting to deal with the matter he went round the regions talking to communicators, advising them to change their ways and that has contributed to “calming the airwaves”. He said the early parts and days of fire and brimstone are no longer heard on the airwaves and that the respondent was taking very decisive steps to purge himself of contempt. He added that even though they were not litigating the matter, Sir John speaks in impeccable twi language and indeed what he was alleged to have said were all spoken in twi. “I have looked at the summons where there has been a translation of what he said in the twi language. My lords we cannot say that perhaps they accurately described what he might have said. He said the interpreter may have used his own words on what a voodoo is and a what a god is and things like that so that the primary source of the charges were the translation in the Enquirer’s newspaper and not his (Sir John) own words as uttered on Oman FM. “When you find yourself on a platform like Oman FM, you let yourself go”, counsel said. He pleaded and said what the court sought to stop was to ensure that during the hearing language use was measured. “Fortunately we’ve gone through the trial. One or two actions on your part (court) brought sanity. Those of us who were shouting at the rooftop said the power was yours (court) and that did not amount to gagging any free speech and that people should be measured”. He said it was not that the judges wanted to show that they have power. That is a lawyer standing before you. He ought to know the law. Other considerations might have let him slip. Counsel: “My Lord Mrs Akoto Bamfo understand this better when she was sitting as a trial judge. We always in pleading say something entered him as your lordship rightfully said. ‘Gbesie’. Some power for which we don’t have any control over. We call it ‘gbesie’, because my lords what other explanation do you have. When those things enter you and you begin to fly away you even sometimes forget you are a lawyer. The Supreme Court after hearing counsels pleadings convicted Owusu Afriyie and Hopeson Adorye of criminal contempt of court and slapped fines of GH?5,000 and GH?2,000 respectively. They will serve six months and three months respectively in default of the fines. In addition, Sir John is to sign a bond to be of good behaviour for six months or in default serve six months in jail while Adorye is to be bonded for three months to be of good behaviour or serve a three month jail term.